The bible tells us that in the last days of his life on earth Jesus turned his eyes toward Jerusalem, a cross, an empty tomb and his final destination his return to God. As I think about Jesus’ resolve to complete his journey back to God I recall his unspoken words to me many years ago to follow him. As I sat in our driveway waiting to pull into traffic around 7:15 am Saturday morning while driving to our local Walmart there were a dozen or so cars headed into town but none heading out of town. While waiting I found myself wondering where they were going so early on a Saturday morning. Pulling into traffic my destination suddenly turned from Walmart to God’s heart as the cars whizzed by I couldn’t help but wonder what their spiritual journey was taking them. Then leaving the store I could see more cars on the road but because it was still dark I couldn’t tell what make a car they were nor could I see the driver or the number of occupants but again I began wondering about their spiritual journey. Suddenly the Glory Seed Devotionals entered the picture and I began thinking about how they can assist us on our journey into God’s heart. Jesus began his prayer the night of his arrest with something that applies to each of us on our spiritual journey toward and into God’s heart. “…Father, the time has come for you to bring glory to your Son, in order that he may bring glory to you.” (John 17:1, CEV) Jesus knew that if he were to complete his journey and reach his destination he wouldn’t be able to do it on his own, he needed God and he knew if he asked God would provide him whatever he needed. 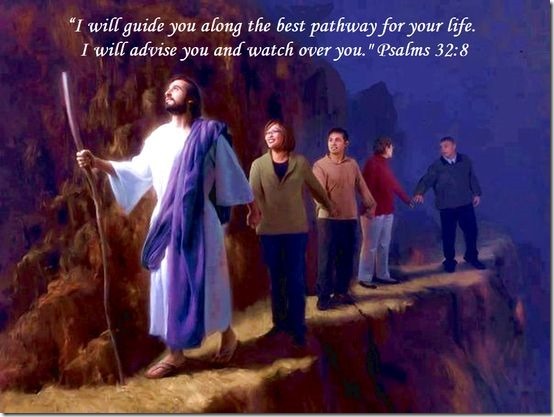 So it is with us Jesus will not only guide us to our toward God and he gives us the Holy Spirit to provide us whatever we need to not only keep moving toward God but also the motivation and power to meet him face-to-face.